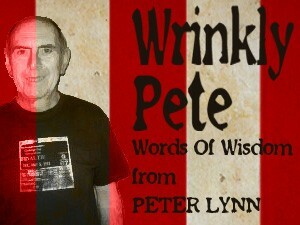 Peter Lynn is a great asset to Salut! 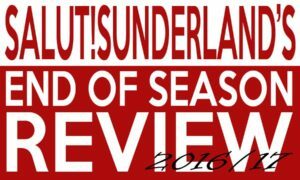 Sunderland, with his eternal optimism and absolute love of the experience of being among fellow-Sunderland fans at matches home and away. And while he declares himself an oldish git, he is no such thing but – as I write – on a demanding walking trip in North Wales. REM recorded this song on their Automatic for the People album in 1992. If you are over 50, find the CD. If you are under 50, use your smart phone to find it. Now press play and listen to the brilliant lyrics, aimed at the angst of youth but just as good for this 73-year-old grieving over our relegation. Our season has really been a continuation of the previous four. We escaped on those occasions with a combination of luck, change of manager(s), influx of fresh players in the January transfer window and, crucially, the presence in the league of three teams worse than us. This time we could not benefit from those factors and so we are down. I like to think that we would have survived again if we had not been really unlucky with injuries. If we had Cattermole, Anichebe, Kirchhoff and Watmore available to us for the whole season I think we might have stayed up, just. And that word “just” is an honest reflection of where we might have been, just surviving, as we have for nearly five years. If Big Sam had stayed, he might have improved us but I am not sure we would have done anything other than struggle. Many people have put forward their thoughts on why this is. This thought process leads on to apportioning blame and, while understandable, I don’t think that serves any real purpose. * does Ellis Short deliberately appoint people who underperform? * do managers wilfully make player selection errors? * do players deliberately play badly? * do us fans deliberately groan when one of our players puts a pass astray? The answer to each question is obviously no. So why are we stuck in this rut? My personal view is that we are where we are through a number of factors, mostly financial. We may have a billionaire owner who has invested heavily in the club but he is trying to make us financially stable while abiding by the Financial Fair Play rules of the Premier League. We are thus unable to compete for the top players. We are in a geographical location that is unattractive to some players, particularly those from abroad. We are not bringing enough quality players through our Academy structure. Finally, we are not enjoying the benefits of managerial stability – we may have survived by changing managers but that has only been a short term fix. Despite the outcome of this season, I have had enjoyment. I was there as we did the double over Hull City. I saw us beat the Premier League champions, Leicester. I was lucky enough to be able to bring my family from Bristol to experience the awesome Stadium of Light. More important and enjoyable than those highlights, however, has been the company of like-minded travelling companions and the opportunity to watch top quality football in the company of fabulous, generous and humorous supporters, the best in the land. We are getting a reality check, like it or not. We must accept that we are no longer “The Bank of England” club we once were. We must accept that being the fourth (?) best supported (home and away combined) club in the Premier League does not entitle us to a place in it. We must accept that we are no longer “top dogs” in the North East. Yes, Everybody hurts, sometimes, and right now it is our time. We still love our club and the club still loves us. The wonderful people of Sunderland will still offer their generous welcome to those that come to the area, be they supporters of our club or a rival.